To become more responsive to customer needs, American Airlines needed a new technology platform and a new approach to development that would help it deliver digital self-service tools and customer value more rapidly across its enterprise. IBM is helping the airline migrate some of its critical applications to the IBM Cloud while using new methodology to create innovative applications quickly while improving the customer experience. Customer experience is a key competitive differentiator for airlines, and increasingly depends on digital channels. How could American meet its customers’ appetite for instant information and services? Working with IBM to migrate some of their key legacy customer-facing applications to VMware HCX on IBM Cloud, while simultaneously transforming them to a cloud-native based microservices architecture is enabling the world's largest airline to innovate faster in response to changing customer needs. In the highly competitive airline industry, customer experience is a major point of differentiation – and digital channels are increasingly important. American Airlines wanted to provide convenient digital services for customers and understood there was an opportunity to remove the constraints of the existing legacy architecture, platform, organization, development and operations approaches. Customer-facing applications were based on monolithic code, duplicated and managed in silos. Every change required the same work in up to three places, each managed by different teams. To respond better and faster to customer needs, American Airlines needed to transform the way they worked to take advantage of new technology features. There was a need to update its technology stack, further increase agility, and introduce DevOps concepts while leveraging an open and flexible cloud platform. Migrate: IBM’s comprehensive proposal addressed American’s immediate and long term operational concerns through a seamless migration of on-premise servers to IBM Cloud’s Infrastructure as a Service with VMware Cloud Foundation solution. Transform: IBM also proposed to accelerate the transformation of American’s application development, organization and skills, based on its IBM Cloud Garage Method. As IBM and American jointly developed the new cloud-native apps in Cloud Foundry on IBM Public Cloud Platform as a Service, the old components would be retired. Operate: The solution brings operations into the development squads, and leverages IBM’s Cloud Solutions Operations Center to provide 24-hour application support and management services, with the IBM team located both onsite at American’s location and at an IBM off-shore location. During the negotiations for the big-picture transformation contract, American Airlines asked IBM for help with an urgent requirement – which would also act as a proof-point for IBM’s proposed way of working. The airline wanted to give customers better self-service capabilities in the event of a forced rebooking due to a major weather event disrupting operations. While American’s algorithms typically rebook passengers on the next best flight, customers had to call the reservation desk or visit an airport agent if they wanted to discuss other options. American wanted customers to be able to see other possibilities and update their flight selection via the website, mobile app or at a self-service kiosk. With the busy summer season approaching, the company president challenged American to deliver a new customer-facing Dynamic Rebooking app within just a few months – a challenge that could not be achieved with the legacy approach and would have taken at least twice that amount of time. American approached IBM for help, and keen to prove its credentials, IBM stepped up to the challenge. The centerpiece of the IBM transformation is the IBM Cloud Garage Method, a holistic methodology covering technology, people, processes and organization. As the first step in the Dynamic Rebooking project, IBM and American Airlines’ developers met and rapidly built more than 200 user stories to guide the development of the new app. Next, the teams identified their first MVP (minimum viable product – the simplest possible application that meets the business requirements) and started to code. The use of microservices, paired programming and test-driven development enabled a highly parallelized approach that accelerated the creation of the new cloud-native code. Microservices allowed each business function to be broken down into simple, reusable functions that can be composed and called as many times as required by any connected platforms. After just four and a half months, the Dynamic Rebooking app was released to production in eight airports, and steadily rolled out to more airports while testing, development and updates continued in the background. American Airlines launched Dynamic Rebooking in less than half the time expected, and now has an app that is easy to enhance based on customer feedback. Hosting on the IBM Cloud Foundry platform paid further dividends when Hurricane Irma struck. The business decided overnight to deploy the app globally to all of American's airports. American has received great customer feedback on the new app, which provides vital information and control to customers when travel plans are disrupted. Customers almost always choose the airline’s first suggestion: a clear validation of American’s underlying algorithms. While Dynamic Rebooking was in development, IBM and American also worked on the bigger migration of aa.com, customer mobile and kiosk apps to IBM Cloud Infrastructure as a Service, using VMware HCX on IBM Cloud to automate the migration of hundreds of VMware virtual machines to the IBM Cloud. This sliced six months from the original timeline, enabling American to avoid a looming capital expenditure to refresh its existing hardware. Migrating to IBM Cloud also significantly improved server performance and reliability, and reduced the end user response time. IBM assumed responsibility for operational managed services for both the migrated and transformed environments via a single support model for multi-cloud environments. With customer-facing apps running on open platforms in the IBM Cloud, and a cloud-native approach to development, American is achieving its key objective of innovating faster in response to changing customer requirements. The airline can also plug in other pre-built services on IBM Cloud, such as web load balancing, weather forecasting and machine learning. The coding time previously dedicated to maintenance is now available for new requirements, helping American innovate for its customers and outpace competitors. Beyond the technology, American has more closely aligned its business and technology organizations to work together in rapid cycles of co-creation to meet customer needs. American Airlines Group Inc. was formed on December 9, 2013 with the closing of the merger between American Airlines and US Airways Group. The company has more than 120,000 employees and lists on NASDAQ Global Select Market under the ticker symbol AAL. In 2015, its stock joined the S&P 500 index. American Airlines and American Eagle offer an average of nearly 6,700 flights per day to nearly 350 destinations in more than 50 countries. 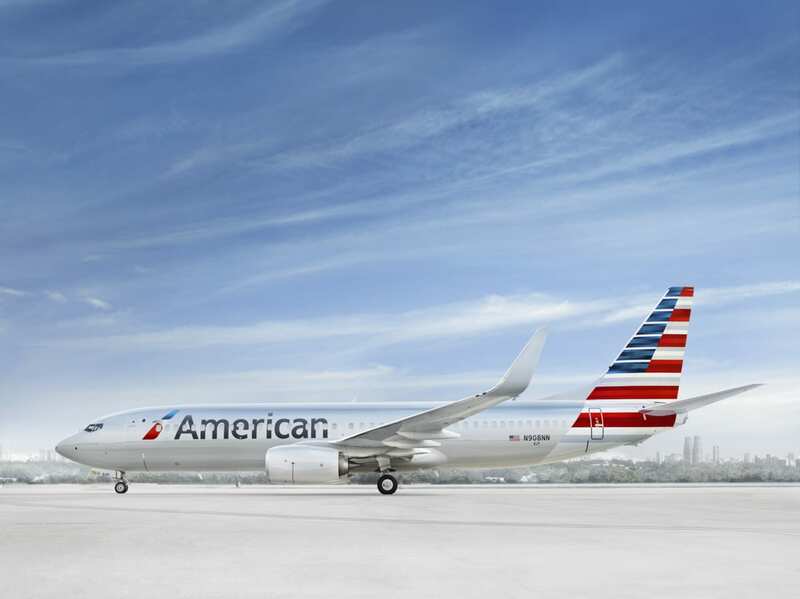 American has hubs in Charlotte, Chicago, Dallas/Fort Worth, Los Angeles, Miami, New York, Philadelphia, Phoenix, and Washington, D.C. American is a founding member of the oneworld® alliance, whose members serve more than 1,000 destinations with about 14,250 daily flights to over 150 countries.